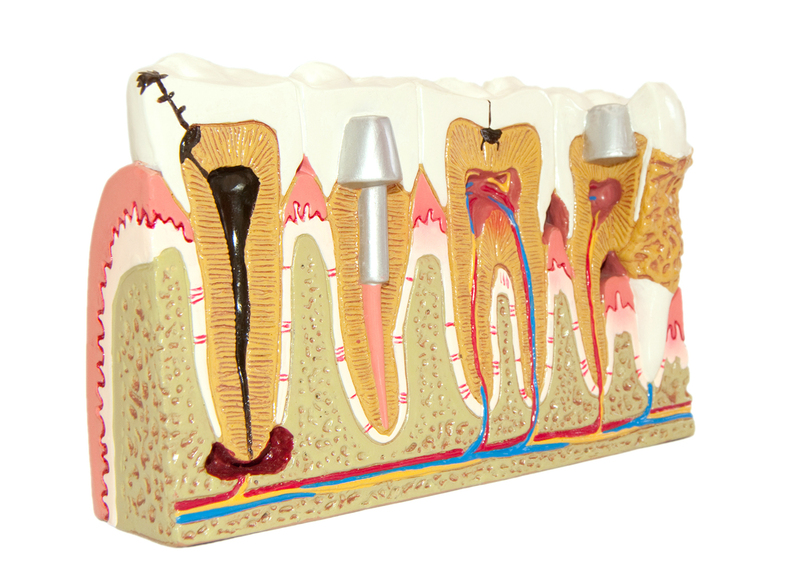 Root Canal Therapy, or endodontics, is a treatment that cures infection in teeth caused by cracks or decay. It involves removing the nerves from the roots of a tooth. A root canal is often the last resort to save a badly damaged or infected tooth. If an infected tooth is not cared for in a timely manner, an abscess can form. 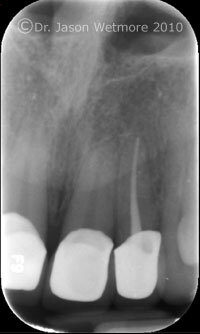 An abscess will show up on an x-ray as a dark spot below the tip of the root. What is actually seen on the film is extensive bone loss in the jaw surrounding the root of the tooth. It is very important to deal with this infection in a timely manner to prevent it from destroying the tooth in question as well as the surrounding teeth and oral structures. If left untreated it is possible for a dental infection to spread to other areas of the body including the bloodstream, heart, face, and brain. At Ocean Breeze Dental our doctors our thoroughly trained in the latest rotary endodontic techniques and employ state of the art equipment to assist in timely and accurately completing the procedure. One of the benefits of our well trained team of doctors is that we are able to offer you more services in house which saves you both time and money. And unlike other offices which refer out the majority of their endodontics, it is even possible (when appropriate) to have your root canal and crown completed in one visit by the same doctor! Completely numb the affected area so that the procedure will be free of pain. A small opening through the top or biting surface of the tooth is made allowing access to the dead or infected nerve tissue. Each canal is then cleaned and shaped in preparation for the filling material. Once each canal is prepared, it is filled with an inert material called gutta percha. The canals are then sealed. The tooth is now ready for a restoration, which is usually a crown. This entire procedure is often completed in two visits depending largely on the extent of the infection present in your tooth. There are a number of reasons why one of your teeth may need a root canal. These include but are not limited to, a very deep cavity that extends into the nerve, trauma to the tooth that exposes the nerve, or a crack in the tooth that extends into the nerve of the tooth. You may experience some, all, or even none of the following symptoms.